A.J. 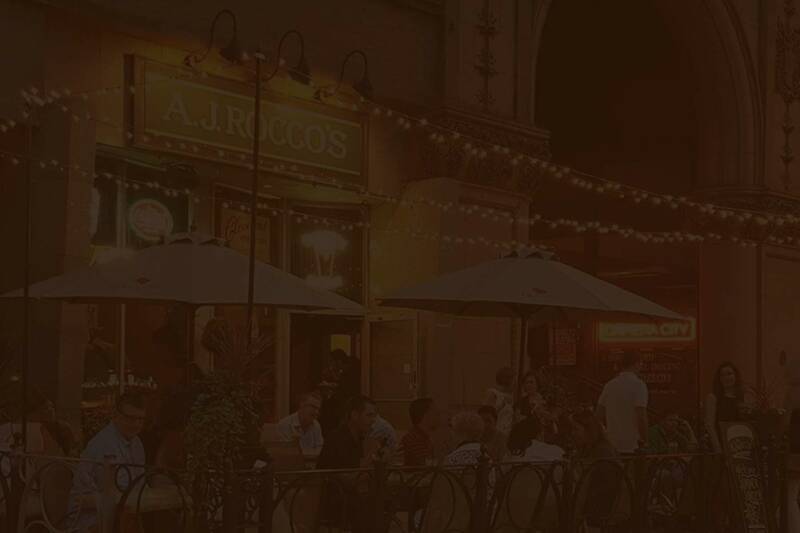 Rocco's proudly owns and operates the Cleveland Coffee Company. We have been roasting coffee for A.J. Rocco's and a number of local accounts since 2003. We select the finest arabica beans from around the world and practice buying methods that support fair wage and earth friendly growing methods. We have composted mutiple tons of spent coffee grounds to local organic farmers and community gardens. Constantino's - Downtown W.9th and Univ. Circle and Clifton Blvd. Meet your friends and family and enjoy cold beer, a full bar and freshly prepared foods. We also serve our own fresh roasted coffee to get you going any time of the day. A perfect spot before and after events at The Q, Progressive Field, Play House Square or just strolling around downtown. Night menu features our delicious flat bread pizzas, oven baked ciabatta sandwiches, veggie baked sandwiches, salads and more. We prepare and bake all the good eats. We feature healthy choices. We pour a fresh pint. We roast our own coffee. We buy locally. We recycle. Join us in the morning. A.J. Rocco's features breakfast sandwiches, bakery and pastries. At lunch, we proudly serve freshly sliced Boar's Head Deli sandwiches, flat bread pizzas, soups, salads and veggie choices. Be Brave - Go Bald! A.J. Rocco's is a contributor and the place for a number of groups of dedicated individuals that are committed to making a difference. We are proud to be associated with: Bright Side of the Road Foundation - ALS Research, Leukemia & Lymphoma Society, Cleveland AIDS Task Force of Greater Cleveland, Teams in Training, Earth Day Coallition, WCSB 89.3 FM, Malachi House, Cleveland Bikes.